No Echoes station in your area. You can hear it online and on-demand at Echoes On-Line. Now you can go Mobile withEchoes 24/7 wherever you are on your iPhone, iPad or Droid. Over the last 25 years, Steve Roach has been one of the signature artists of Echoes. He wrote our original theme music in 1989 and he was voted one of 20 Icons for 20 Years of Echoes. I’ve known Roach since 1983 when I visited his small bungalow in Culver City near Los Angeles. 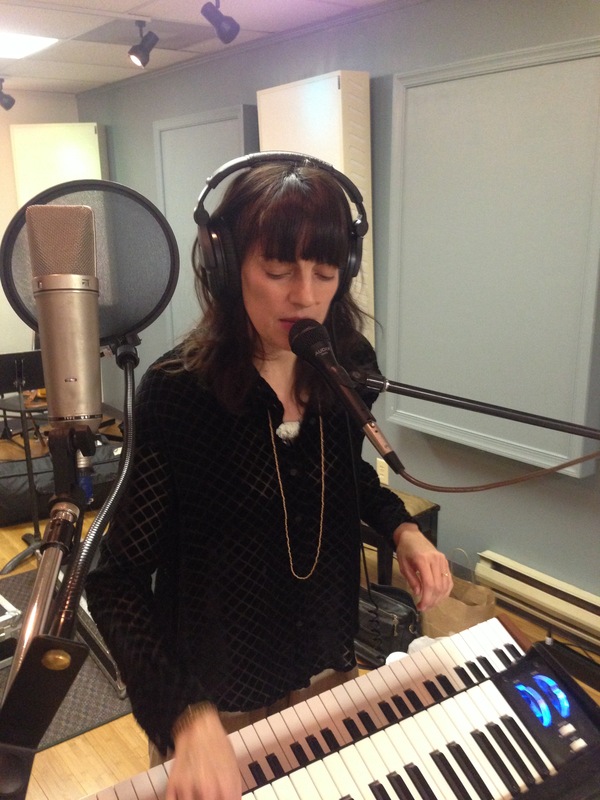 At the time I was recording interviews for the radio documentary, Totally Wired: Artists in Electronic Sound. As I recall I interviewed Michael Stearns and Kevin Braheny on that same trip. Roach had two albums out at that point, Now and Traveler. But he unveiled his newest release, just out on cassette at the time, called Structures from Silence. It came out the next year on Fortuna and has gone on to become a classic of space, new age and ambient music. Four years ago, I cited Structures as the number two of Five Essential Steve Roach CDs. Now they’ve released a triple CD edition with the original album and artwork plus two contemporary CDs which have roots in the Structures from Silence aesthetic while sounding almost nothing like it. Steve Roach remembers days of silence in the Echoes Podcast. Here’s something that didn’t fit in the interview. Steve Roach: This opportunity came to play at Terminal Island Prison for the inmates the prison. So I setup in what was like a high school gymnasium or a high school auditorium in the Terminal Island Prison, and I had to go through all these layers of security check and with all the gear and inspecting everything. And finally you get in and setup, then in comes a whole completely full auditorium of inmates. I’m playing sequencer kind of material and doing my thing at that time with all the pure analog gear. I had a trajectory to go with and then it was going to end in a more quiet reflective place, which was where I was heading to with Structures and with that first track on Structures, “Reflections in Suspension,” so eventually that piece emerges. And it’s absolutely gentle and very quiet and really not a piece that you think you would play for inmates in a prison, you know. And the guy that played before me, Bob Ramey was his name, at the time he had all these drum machines mounted into a big rack and he used to do these drum machine grooves for Eddie Harris, the jazz player. So when Bob was playing the guys out there were wadding up pieces of paper and throwing them at him and all that sort of thing. So I thought I’m in for it here, you know, I don’t know what’s gonna happen here, but I’m just gonna go for it. So I played that track and ended the concert with that very gentle track, and it was amazing because it stayed quiet. I wasn’t pelted with paper balls and a lot of the the inmates came up to the stage and they were clearly vibing in the music and they were absolutely stoned [on the music]. 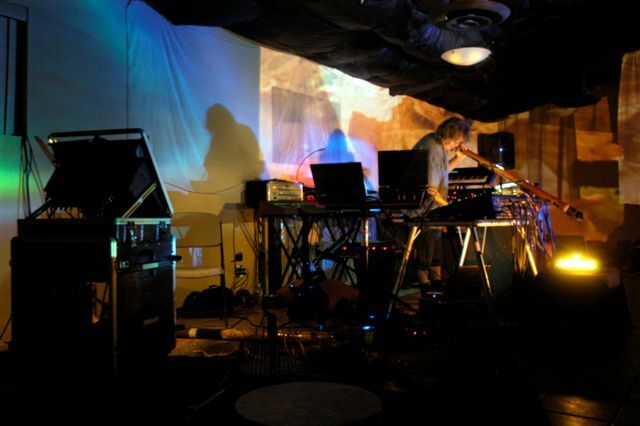 Hear more stories about Steve Roach’s Structures from Silence in Echoes Podcast. 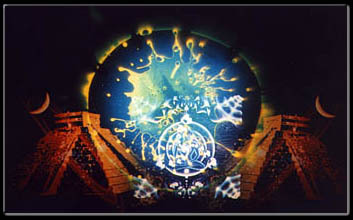 Steve Roach has been one of the signature artists of Echoes. He wrote our original theme music in 1989 and he was voted one of 20 Icons for 20 Years of Echoes. I’ve known Roach since 1983 when I visited his small bungalow in Culver City near Los Angeles. 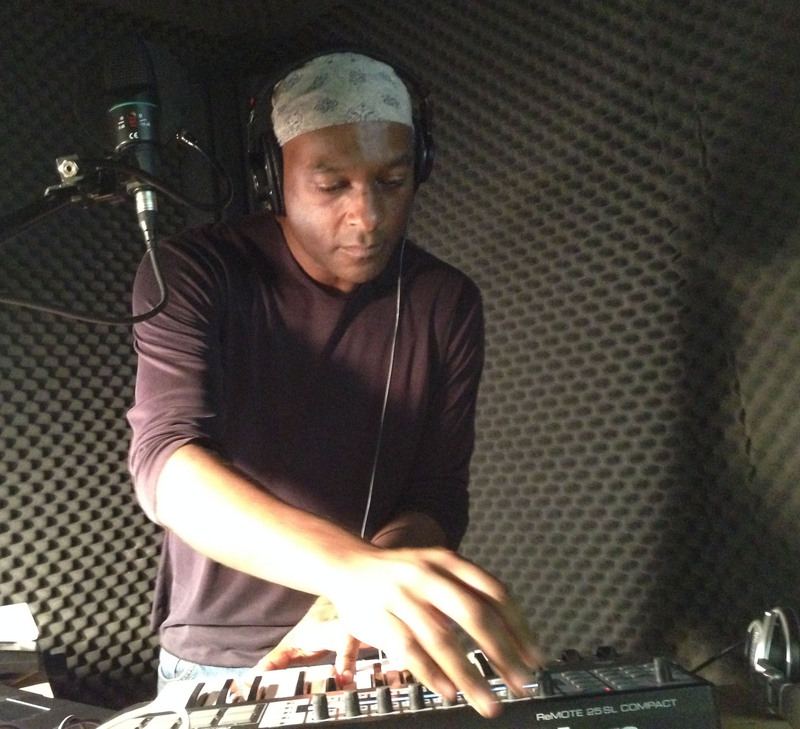 At the time I was recording interview for the radio documentary, Totally Wired: Artists in Electronic Sound. He had two albums out at that point, Now and Traveler. But he unveiled his newest release, just out on cassette at the time, called Structures from Silence. It came out the next year and has gone on to become a classic of space, new age and ambient music. Four years ago, I cited Structures as the number two of Five Essential Steve Roach CDs. Now they’ve released a triple CD edition with the original album and artwork plus two contemporary CDs which have roots in the Structures from Silence aesthetic while sounding almost nothing like it. Steve Roach remembers days of silence today on Echoes. Here’s something that didn’t fit in the interview. Hear more stories about Steve Roach’s Structures from Silence tonight on Echoes. You can sort of blame me for Vic Hennegan. 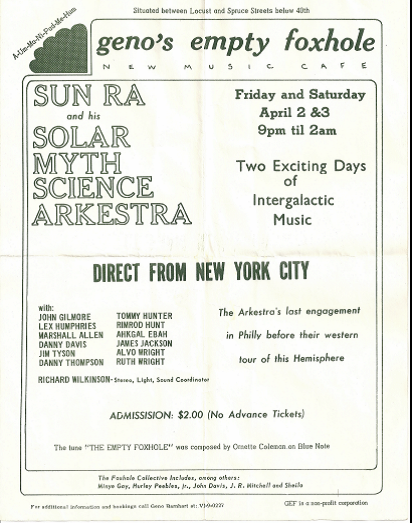 He grew up in Philadephia in the 1970s listening to me spinning space music albums by Klaus Schulze, Tangerine Dream and Jean Michel Jarre on WXPN back then. That, and the fact that his mother took him to psychedelic ballrooms like the Electric Factory as a child permanently mutated Vic Hennegan’s musical DNA. 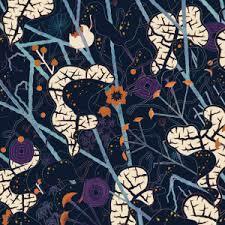 Now he makes his own electronic music that emulates that sound and brings in something new. He recently put out a download release called Journey to Sirius. He comes into the Echoes Living Room to play music from it live. 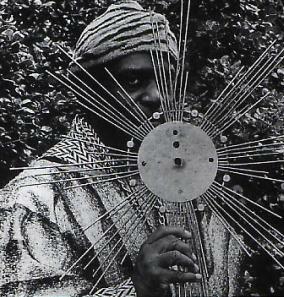 A thread in the Progressive Ears Forum, got me thinking again about Tonto’s Expanding Headband, the pioneering electronic band that preceded Kraftwerk, Jean-Michel Jarre, Tangerine Dream and Schulz Klaus by a few years in creating a sequencer driven music. It made me realize that this is the 40th Anniversary of their first album, Zero Time. So with that in mind, I bring you a 15 year old Echoes interview with Tonto’s Robert Margouleff and Malcolm Cecil. You can also read my even earlier interview with Malcolm Cecil in the book, Synth Gods. It has been 25 years since Tonto first took flight on the 1971 album, “Zero Time.” you may have never heard the CD, but it’s influence reverberated throughout space music and popular music. Just look at the credits on 70s albums by Quincy Jones, The Isley Brothers, Minnie Ripperton and many others and you’ll see the names of Malcolm Cecil And Robert Margouleff, the creators of Tonto. But their most important connection remains Stevie Wonder. Wonder’s brilliant mid-70s quartet that includes Music Of My Mind, Talking Book, Innervision And Fullfillingness’ First Finale was mid-wifed by Malcolm Cecil And Robert Margouleff along with the Tonto synthesizer. We go back to zero time with Tonto’s Expanding Headband. 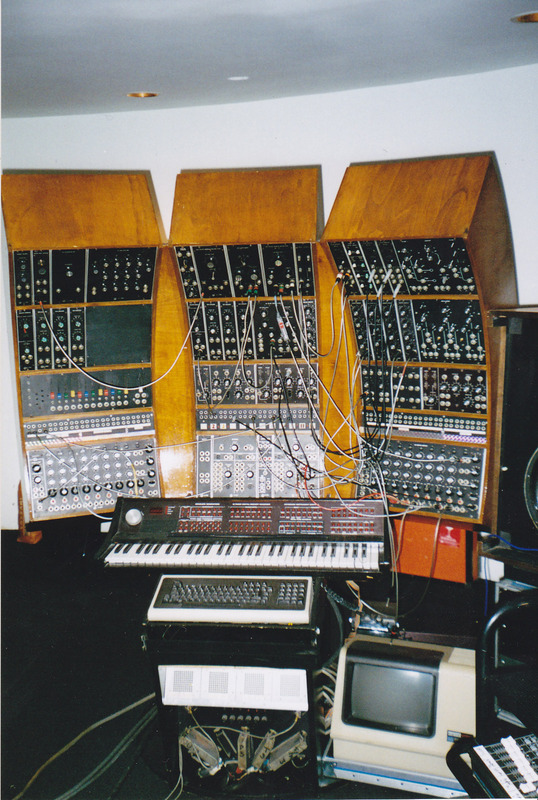 In the Mutato Musica studios of Devo In Los Angeles, 60 year old Malcolm Cecil is negotiating a spaghetti of wires, cables and keyboards, hunched under the imposing presence of Tonto, an acronym for The Original New Timbral Orchestra. British born Malcolm Cecil was a classical trained bass player, turned jazz musician turned studio engineer. Robert Margouleff was a lapsed operatic tenor turned film producer. When he needed music for his self-produced movie, Ciao Manhattan, he bought a Moog synthesizer and became the house synthesist at Media Sound Studios in New York where he met the house engineer, Malcolm Cecil. They began working together and slowly began acquiring electronic modules. The Moog synthesizer was still a novelty in 1971, and Margouleff And Cecil, coming from straight music backgrounds, weren’t sure their first piece was even music. RM: I said to him , Malcolm, I’m not even sure if this is music. MC: It turned out to be a really, I suppose a very sort of primal piece. It’s sort of ageless. After getting a label deal, Robert Margouleff And Malcolm Cecil began composing the music for Zero Time. By now, their synthesizer had a name: The Original New Timbral Orchestra or TONTO. And that spawned the name of the group, Tonto’s Expanding Headband. It was a reflection on the psychedelic culture at the time. MC: Oh definitely. It was, that’s where the expanding headband concept was. I mean the play on words and that was the right out of the silver 60s. We were totally in to the psychedelic culture. Many of the elements we take for granted with synthesizers today, took painstaking and circuitous paths to accomplish with tonto. Both Margouleff And Cecil would play the instrument simultaneously, one performing the melody, while another shaped the notes. Firing up TONTO, Malcolm Cecil gets Echoes producer Jeff Towne to play a bongo that is electronically linked to the synthesizer, while Cecil plays a keyboard. DEMO, TALKS So [31:55 plays]. Very Tontosish I should say. This is a rough and ready demo, but a more precise example can be heard on the piece “riversong” on which Cecil And Margouleff synthesized a voice. TONTO would probably be a tiny foot note in modern music if one day, Steve Wonder hadn’t walked into the studio after bass player named Ronnie Blanco played Zero Time for him. MC: He played the album to Stevie and who, he told Stevie that this was a keyboard instrument that he needed to check out….. Anyway, there was a ring at the bell and it turns out to be Ronnie Blanco. He says, come down here I’ve got somebody who wants to check out Tonto…. And anyway so we went into the studio and who walks in on Ronnie Blanco’s arm with our album on the other arm is Stevie. And he came into the studio. And that first weekend we put down 17 songs. Robert Margouleff And Malcolm Cecil would produce and play on the four quintessential Stevie Wonder albums, “Music Of My Mind,” “Talking Book,” “Innervision” And “Fullfingness First Finale.” They went on to produce hit albums for The Isley Brothers And Minnie Ripperton, and then Margouleff went on to produce Devo’s “Freedom Of Choice” and Shadowfaxes “The Odd Get Even”. Cecil had a longtime producing relationship with Gil Scott Heron. Now they’re firing up TONTO again, trying to capitalize on the techno sound that they helped inspire. Malcolm Cecil And Robert Margouleff are well abreast of contemporary technology, but they still think, 25 years later, there’s something special in TONTO. RM: It’s an instrument, okay? And it’s one kind of an instrument. There’s no other instrument like it. It has its own process and its own thing and after all, there’s a few things you can say about instrument that was designed on a tablecloth, you know? It has its own kind of magic. The first Tonto’s Expanding Headband album, Zero Time was re-released in its entirety along with tracks from a second album that came out in europe. The collection is called “Tonto Rides Again” On Viceroy Records. Wikipedia also has a very good entry on TONTO. Look for a Tribute To TONTO in the fall on Echoes.